The Solomon's Knot crochet stitch is a beautiful lacy stitch that I absolutely fell in love with. I learned this stitch because I could not crochet like a normally do right now, for a full blog on why I learned how to crochet the Solomon's Knot, click here. I love this stitch so much that I'm designing several different projects with it. I've been sharing pictures of my obsession with Solomon's Knots on my facebook and Instagram pages and several of ya'll have asked for a video tutorial on how to crochet this gorgeous stitch. 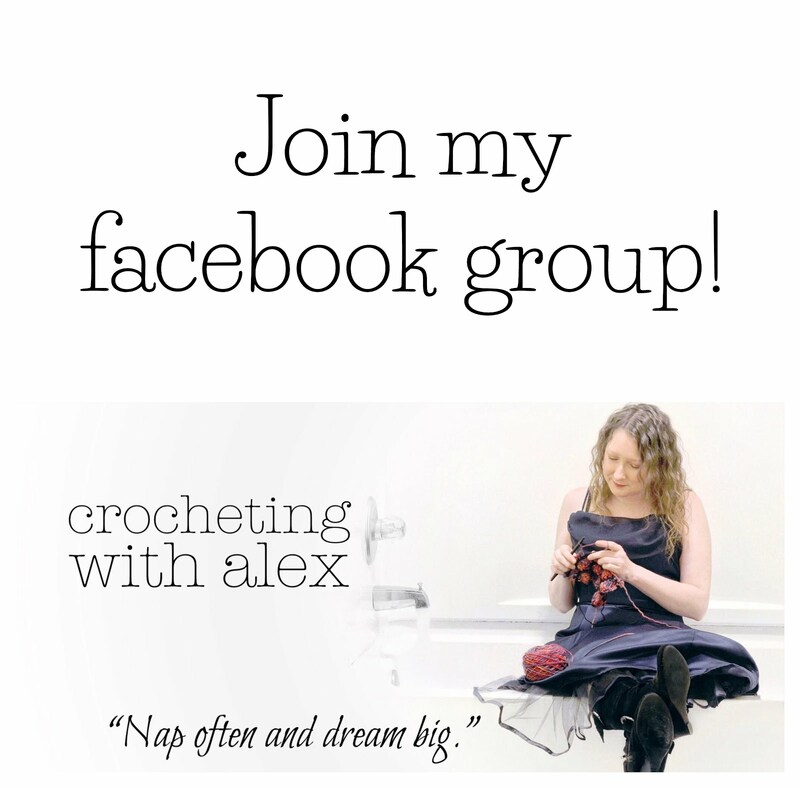 Today I have a video tutorial, picture tutorial and a free pattern! I hope ya'll love making this stitch as much as I do and if you have any questions please ask away! Scroll down for the picture and video tutorials and the free pattern. The Solomon's Knot is known by many different names. Some common names include the love knot and the double love knot. What have ya'll heard it called? Pay close attention to the pattern that you are following for information on what size to make the loops and also, some patterns have an Edge Solomon's Knot (ESK) and a Main Solomon's Knot (MSK) that are different sizes. For this tutorial, you can make the loops any size that you would like. Step 3: Put a single crochet into the 2nd chain from the hook. Step 1: Pull up a loop. The size of the loop depends on what the pattern calls for but for this tutorial you can make the loops whatever size you would like. Mine are 1.5 inches. TIP: I like to use my hook handle to measure my loops. My pattern calls for 1.5 inch loops and the distance between the tip of my hook and the handle is 1.5 inches. If the pattern calls for a different size loop or if your hook measures differently than mine, you could use a piece of tape or a marker to mark it. The more loops you make, the easier it is to judge the right size without measuring. Step 2: Grab the working yarn and do not let it drop. Step 3: Yarn over and draw it through the loop on the hook. There is now 1 loop on the hook. 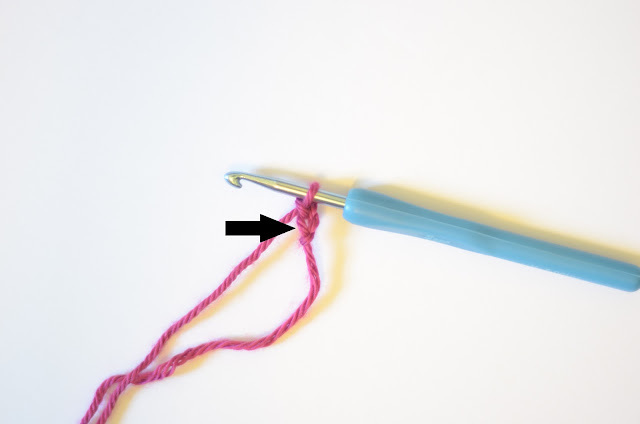 Step 4: Insert the hook behind the strand of yarn that you are holding from Step 2. Step 5: Yarn over and draw it through the 1st loop on the hook. There are now 2 loops on the hook. Step 6: Yarn over and draw through the 2 loops on the hook. Step 1: Put a single crochet into the 4th single crochet from the hook. Step 2: Crochet 2 Solomon's Knots. Step 3: Skip 1 single crochet and put a single crochet into the next single crochet. Step 4: Repeat Steps 2 and 3 until you reach the end of the row. Step 1: Crochet 3 Solomon's Knots and turn your work. 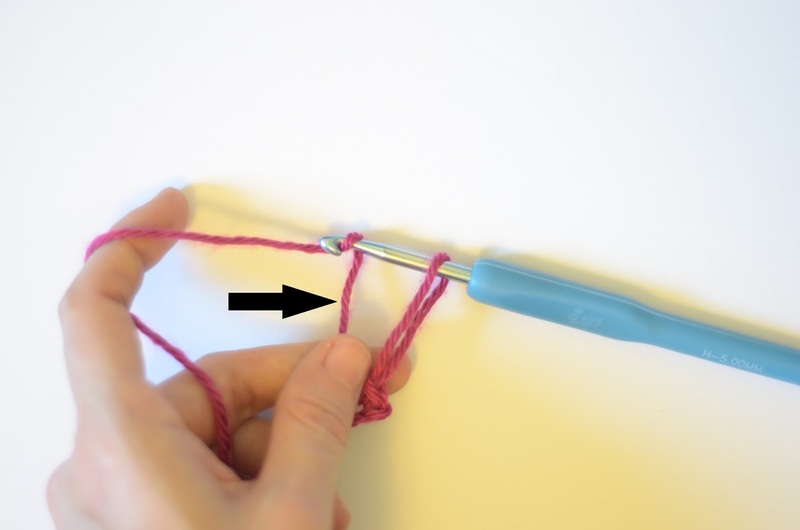 Step 2: Put a single crochet into the single crochet between the 4th and 5th loops from the hook. Step 3: Crochet 2 Solomon's Knots. Step 4: Skip the next single crochet and put a single crochet into the next single crochet. Step 5: Repeat Steps 3 and 4 until you reach the end of the row. Repeat R2 until you reach the desired length or the number of rows the pattern calls for. I hope this picture tutorial and video tutorial is helpful. If you have any questions, please ask away! I love this stitch and I hope ya'll do too! I've been so inspired by this stitch that I have several projects that I am making with it, and to start I have a FREE pattern that is a great beginner pattern!